The Consumer Electronics Show 2019 took place last week. The show highlights advancements in technology, as well as, new products soon arriving on store shelves. At the conference, walking the halls, you could find drones, robots, rollable TV’s, etc. However, also at CES 2019, you could find trucks. Some trucking companies decided to bring their new models. These trucks ranged from electric vehicles, autonomous vehicles, and slightly autonomous vehicles. Furthermore, there were concept trucks at the show that displayed potential new fuel technologies. Of course, all of these pieces of displayed technology are hopeful. They are hopeful in the sense of how soon they can be rolled out to the masses. Among some expected appearances, CES also featured some more surprising showcases. Before we get into the ever important topic of trucking fuel, let’s take a look at trucking tech. In one of our previous blog entries, we mentioned TuSimple’s trucking technology. Well, they went into this year’s CES confident, calm, and collected. 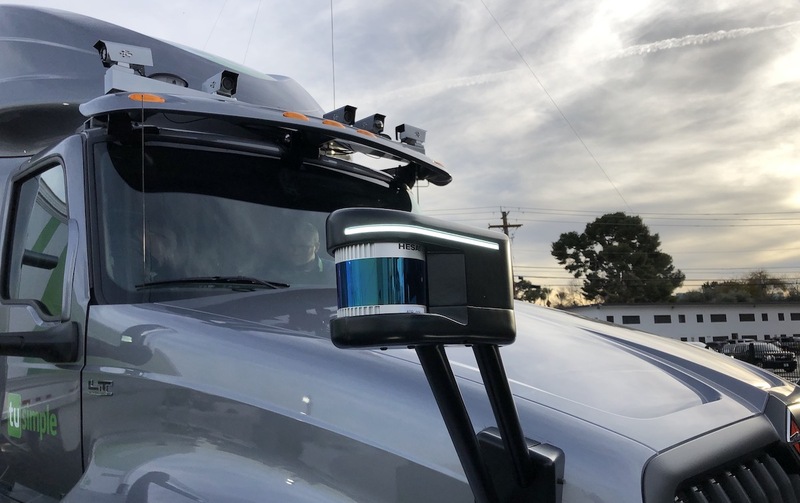 “CES is becoming an important venue for automotive and trucking because while it’s billed as consumer, it’s really a technology show, and trucks are getting more and more technology embedded in them. They are becoming the next technology focus,” said Chuck Price, vice president of product at TuSimple. TuSimple showcased their autonomous trucks and machine vision. One of the leading truck manufacturers in the world, Daimler, also appeared at CES. In one of the rarer parts of such a “heavy” concept show, Daimler made some announcements. First, they would begin offering lane-keeping assist with automated steering capabilities. Second, they had hands-on testing of their electronic vehicles. Martin Daum, CEO of Daimler’s global truck business, said that he feels Daimler has an obligation to innovate the trucking industry. When people sit down in a movie theater to watch a movie they’re usually shown some variation of the following message: “Silence is Golden.” Trucking fuel technologies are taking that message to heart. Many journalists and reporters stated that areas displaying electric truck technology were one of the quietest places in the entire conference. Daimler Truck North America allowed test drives of their various vehicles. All the vehicles, ranging from their eCascadia Semi to their Jouley school bus, were quiet, silent, and vibration-less vehicles traveling the landscape. However, even with all this good news, the realities can’t be escaped. The battery life is still less than optimal. These vehicles won’t be able to transport shipments over long distances for a long time. Most electric vehicles are just being used for short distance transportation efforts that have substantial idle time. CES ends up being a hopeful endeavor for those that chose to present. Trucking technology is slowly evolving and, over time, will change the landscape of the trucking industry for the better.